New York, NY (February 22, 2017) — The most pressing news and media linking women’s rights, environment, and development. 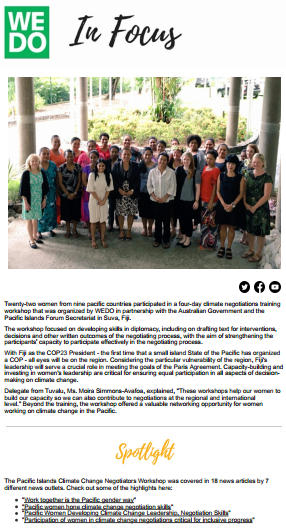 This week’s edition features WEDO’s Pacific Islands Climate Change Negotiators Workshop! Read the newsletter here or sign up to get the latest news delivered straight to your inbox.